Dr. Briana Makofske is a Licensed Psychologist in the state of Colorado (License # 4062). She earned her Bachelor’s Degree in Psychology from Colorado College and her Doctorate in School Psychology from the University of Northern Colorado. Dr. Makofske has worked in schools for over a decade, specializing in supporting students with neurodevelopmental disorders through assessment, developing collaborative goals and interventions, and providing direct and consultative services. 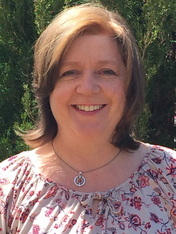 Dr. Makofske’s professional experience includes administering a wide range of assessment batteries, consulting with families and educators to develop both personal and academic related skills, and providing direct service, consultation, and interventions for children and young adults with diverse needs. Dr. Makofske identifies individual strengths and needs in order to develop supports and interventions that will help each child gain skills to become independent and successful. She works with parents and educators to help ensure interventions and supports meet the needs of each child and can be realistically implemented over time. In addition, Dr. Makofske is fluent in American Sign Language and is able to support Deaf families with concerns for their children. 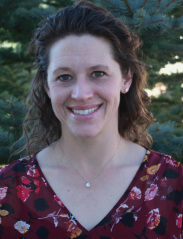 Dr. Rachel Toplis is a Licensed Psychologist in the state of Colorado (License # 4059). Dr. Toplis earned her PhD in Psychology from the University of East London, UK in 1997 before immigrating to the USA. She has worked with children and young adults in a variety of settings for over 30 years. Most recently Dr. Toplis worked in Academy School District 20 as a School Psychologist and Brain Injury Specialist. Dr. Toplis has many years experience administering a wide variety of assessments addressing diverse concerns, including Autism Spectrum Disorders and Traumatic Brain Injury, cognitive, achievement and executive functioning assessments, behavioral and social / emotional assessments. Dr. Toplis has a vast experience consulting with individuals, parents, families and other providers. Based on years of knowledge and experience Dr. Toplis can help identify and develop supports and interventions designed to address individual needs of clients and their families. Additionally, Dr. Toplis can successfully interface with educational and work environments to promote individual independence and success in the future.